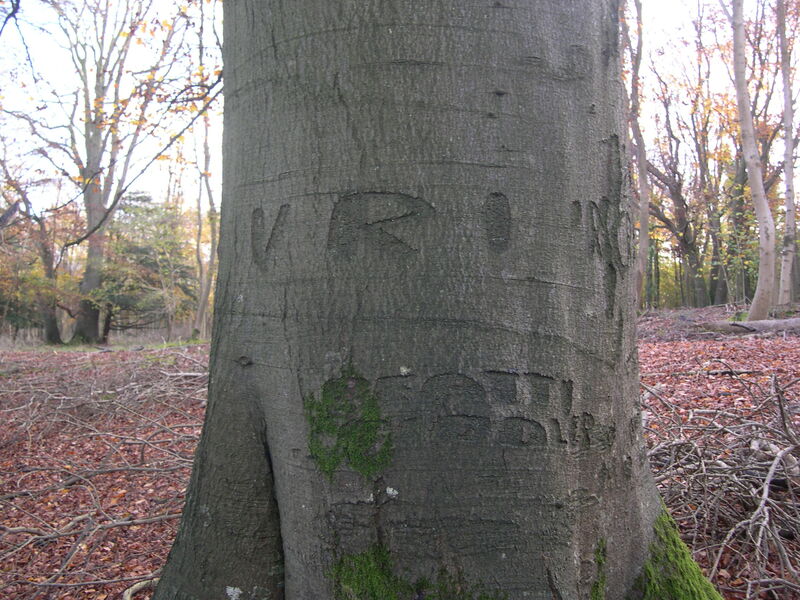 WW1 Graffiti. | The Military history of Slindon. 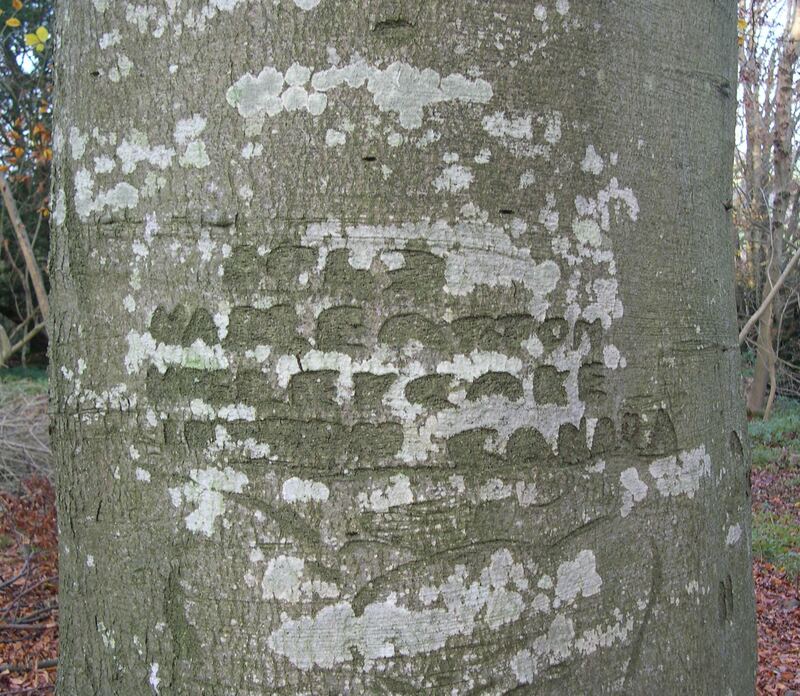 During WW1 there was a Canadian Lumber camp on the Plane at Slindon, together with a German P.O.W camp, recently some graffiti has been discovered on some old beech trees, location is being kept secret, . 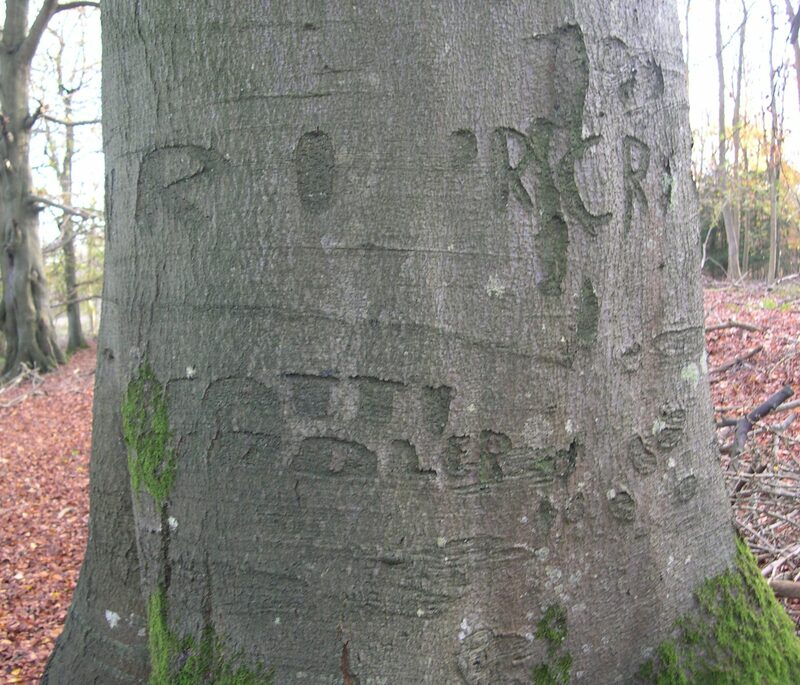 Graffiti from WW1 is now rare, any other readers knowing of any other sites i would like to hear from you. you.